BUILDERS REMARKS: The Leopard 39 PC is an innovative, efficient and spacious yacht that takes the best features from the popular Leopard 47 PC to bring you an exciting midsize catamaran with many of the features of a much larger yacht. BROKERS REMARKS: MAGGIE TOO is the only 39PC now available in 2019 and one of few in the last of the model line. The 39 PC provides a very spacious layout both inside and out. Great visibilty from the flybridge and ease of maneuvering. Generator, air conditioning and electric davits add to the comfort. 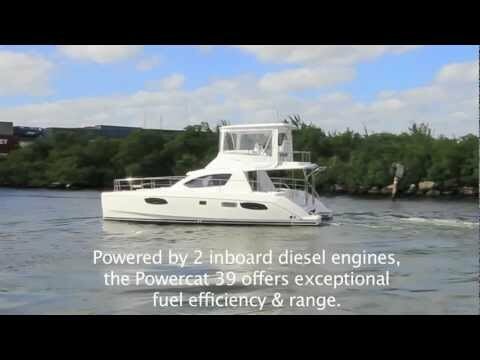 Strong fuel efficient and reliable performance from the Yanmar engines. 3 cabin owners layout. AVAILABILITY: Released from fleet and awaiting to complete phase out.